Unite regional officer Tabusam Ahmed... thanked St Mungo’s staff, whose job security and terms and conditions are now under threat from their own employer. “Their support at Unite’s headquarters last night and in the coming days serves as a testament to the hard work they do,” she said. “That’s why it’s vital that we at Unite fight to preserve the pay, terms and conditions of charity workers like these who are motivated by an entirely selfless desire to help society’s most vulnerable. Sub-zero temperatures may be merely unpleasant for many of us, but for some, it can be deadly. As the UK weathered its coldest night of the year last night (January 31) thousands of rough sleepers across the country feared for their lives as they sought shelter at a time when shelters are bulging to overcapacity under the strain of austerity. In London, rough sleeping is a particularly acute problem – the number of people sleeping rough in London increased by 146 or 13 per cent, according to the latest figures published today (January 31). London accounted for 27 per cent of the total number of people sleeping rough in England, up from 24 per cent in 2017. Fatalities, too, are shockingly common – separate figures from the Office for National Statistics (ONS) estimated that 646 people who are homeless in London died over the last five years, including 136 in 2017 alone. London mayor Sadiq Khan has made tackling rough sleeping a priority, and now, Unite is joining the Mayor’s office in support of its ‘Severe Weather Emergency Provision’ (SWEP) programme. In response to a call from the mayor for organisations to open their doors during the latest bout of cold weather, Unite has, from last night (January 30), given shelter to a number of people who are homeless at its central office in London. Unite’s headquarters will serve as a ‘pop-up’ shelter for at least three nights, and will be staffed by homeless charity St Mungo’s staff, who are also Unite members, round the clock from 8pm to 8am providing support. “No one should be sleeping rough in this freezing weather, which is why our emergency shelters are open across the capital every night the temperature drops to zero, offering rough sleepers somewhere warm to stay and further support to help them off the streets for good,” he added. 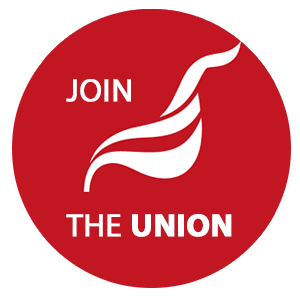 Unite general secretary Len McCluskey said that while the union is “proud to help out during these bitter cold nights” he added that Unite is “under no illusion that so much more needs to be done to tackle this increasing tide of human misery. “The UK is the sixth biggest economy on the planet; it ought to be capable of putting a roof over the head of every citizen, but the fact that it does not is the direct consequence of failed Conservative austerity policies,” he added. McCluskey noted that the latest rough sleeping figures make for “very depressing reading and Theresa May needs to acknowledge that the harsh austerity regime is not over by a long chalk. McCluskey thanked London Mayor Sadiq Khan “for the work his office does to put roofs over heads and to remind us all that we can’t just walk on by in 2019”. He also went on to thank Unite members at St Mungo’s for “the incredible work they do to provide help for people in need all the year round, but especially at this time of year, when the weather can be so cruel and unforgiving”. Unite regional officer Tabusam Ahmed likewise thanked St Mungo’s staff, whose job security and terms and conditions are now under threat from their own employer. If you see someone sleeping rough, send an alert to StreetLink – the alert will send out a local outreach team which will then connect that person to local services for support.